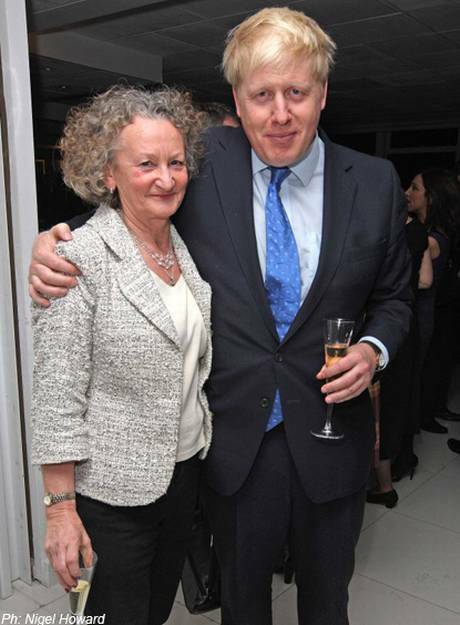 Don't stand so close to me: Boris is unlikely to be getting the second preference vote from Jenny Jones. Previously on the blog: I reported from the meeting between Ken Livingstone and the London Greens on Monday where we questioned him on his policies and considered whether to recommend to our voters that they should back him as a second preference in the upcoming London Mayoral elections. Yesterday, we announced to the media that members had agreed by a majority vote to make this recommendation. I’ll be honest and say that I was one of them, although I voted with some reservations and an incredible amount of respect for the arguments made by those who took the other view. The truth about Ken Livingstone is that whilst he is politically slippery and can sometimes struggle to bring along his party with him on issues, he does have a substantial record of putting his money where his mouth is on a number of issues close to our heart. In our deliberations, very little mention was made of his two bites of the cherry in introducing a congestion charge to London, a policy that at the time was exceptionally divisive and politically dangerous and that changed public debate on transport fundamentally in the capital over the last decade. His actions back then inspired me to believe that radical green policies can work within the UK political landscape. In 2012, does he have the political instincts needed to orientate the city for the future, to stimulate sustainable economic growth, improve air quality and reduce inequality? No, I have to honestly say that Jenny Jones clearly has the ideas, the plan and commitment to follow through beyond the vague warm words we heard on Monday. She feels like the break with a discredited past that we need in genuinely tough times. Compare him to the alternative of Boris Johnson however, and the prospect of a figure in City Hall pledging solidarity and modest action on these issues looks pretty attractive. Johnson hasn’t just been an ineffective Mayor with a paper-thin record. It is very easy to dismiss him as a buffoon responsible for little more than a bike scheme inherited from his predecessor and an expensive vanity bus project. Yet his active neglect and the priorities that underscore his actions have widened inequality at a faster rate. He has given the City a mouthpiece in the Mayoralty and flirted with climate change denial (even actively refusing to publicise air quality levels when they are extreme). As I wrote last week, he has presided over rising joblessness amongst younger people and conveniently thrown blame elsewhere to cover his lack of activity on it. After three years away, I return to a London less equal, less prosperous and less at ease with itself. I’m a real believer in being pragmatic about politics and whilst ideological purity has an attraction, I’m involved in politics to try and achieve things. With the current economic situation and (the increasingly ignored) climate change crisis on the horizon, we don’t have another four years to build our case to the public and improve our vote share. Our Green Assembly members have had a great deal of experience in negotiating with Ken Livingstone to deliver on some of our priorities during his first two terms. If our recommendation can tip a few more voters away from Boris towards a candidate who will work with us on these issues, I’m prepared to take the reputational risk. If other parties want to make political capital out of this, I trust the voters to see our willingness to work with whoever it takes to improve the lives of people across the city. One of the concerns at that meeting was that by giving this recommendation, we run the risk of being seen as being in the shadow of another party, unable to commit to own candidate and platform. Listening to the forensic analysis and sharp probing of the issues from my fellow members at that meeting, I have no concerns about the Greens being seen as anything other than a increasingly coherent, credible and strong political force in their own right. You’d never have caught Dennis Skinner posing with the Tories like that.